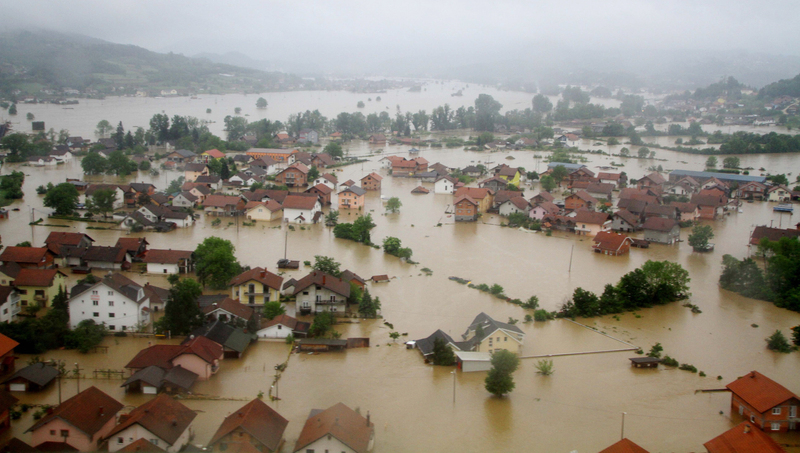 A great many of the largest disasters in recorded history have been floods. Whether biblical in nature such as Noah’s flood or the devastation of Galveston by the 1900 hurricane known as “Isaac’s Storm” (Named after the meteorologist who attempted to warn people of the storm) or Hurricanes Camille, Andrew and Katrina. All of these caused massive damage and death. Creating a plan to avoid a flooding disaster on these levels is pretty simple…get out before they happen. Floods from dams bursting, river floods and storm surges from tropical storms, hurricane and typhoons have literraly killed millions of people. China leads the list of deaths by flooding with a single flood in 1931 causing an estimated 4,000,000 deaths. 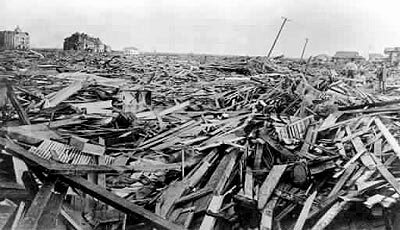 The single largest single day death toll in the US is from the storm that hit Galveston, TX in 1900 known as Isaac’s Storm. The death toll was estimated as high as 12,000 souls. The majority of these were from the storm surge of 15 feet that engulfed the island that was only 8 feet above sea level. The devastion was complete. No one who lived on the island went without loss of some kind. Do you live next to a stream, creek or river? If so, you are in a flood zone. Do you live downstream from a dam? Then you certainly are in a flood zone. Do you live near the beach? Then you are in a flood zone. Even if you live inland you can still be in a flood zone. What could be worse, you could live near a flash flood zone. Contact FEMA to learn more about your location. You may be in a flood zone and not know it. Use this link to learn more about FEMA and even download an app to give you early warning alerts. This could be a simple as riding out the inconvenience of flooded roads and washed out bridges or complete evacuation due to your home being underwater or swept away. More than other types of emergencies, planning for a flood is specific to your location and surroundings. For us, we live on high ground that has very little chance of a flood. There is virtually no chance of a flash flood hitting our home. Street flooding is not a threat as our home is up an 8 foot driveway and across the street is downhill to a series of ponds that can hold millions of gallons before flowing downhill to a major highway. We built in a no-flood zone that does not have a threat of even a ‘100 year’ flood. Most of the country is not situated as we are. The majority of the population lives near the coast. A rise in the seas by even a small amount could mean disaster as not only would the coast line flood but streams and rivers would back up, causing major flooding inland. If you live no where near a flood zone then you should prepare for the inconvenience of being without electricity, food, medical care and water and no way to get any. You may be under a boil water order and need to filter your drinking water. If you are without power you will need a way to prepare food or have food that does not require cooking. For flooding of your home plan on taking what you need to live on when you evacuate and move everything else up stairs before you go. If you do not have an upstairs take pictures of your belongings for insurance purposes. Do not think you can ride out a flood. Floods are more serious than many people understand. Quite simply, floods kill people, destroy property and change landscapes forever. Know your situation. Analyze your surrounding and understand how high water will effect you. Plan now for everything from an inconvenient flood all the way to full evacuation. This type of planning might save you life and the lives of your family.